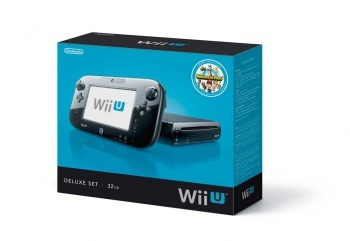 The Wii U's future availability on Amazon.com is uncertain. After the Wii U's November 18 release date was announced yesterday, retailers like GameStop and Best Buy jumped into action and began taking pre-orders for Nintendo's next console. Online retailer Amazon, on the other hand, still doesn't have the Wii U listed. While that didn't seem like a big deal yesterday, when information about the Wii U was flying fast and loose, the retailer has since notified customers to tell them that the Wii U is "not available at Amazon.com." This gets even weirder considering that Amazon stopped selling the 3DS (the ones available on the site now are from outside retailers) and has never stocked the 3DS XL. Amazon hasn't given a reason for not making the Wii U available, but gamers who prefer it to brick-and-mortar stores may have to look elsewhere if they're hoping to pick up a Wii U on launch day.